While the topic of marketing probably isn’t the first thing that comes to mind when you think of a TEDx talk, surprisingly, the two are connected in more ways than you may realize. Did you know that in past few years, no less than nine, soon to be 10 of our featured monthly Reno-Tahoe AMA luncheon speakers and annual marketing workshop presenters have also given a TEDx talk? 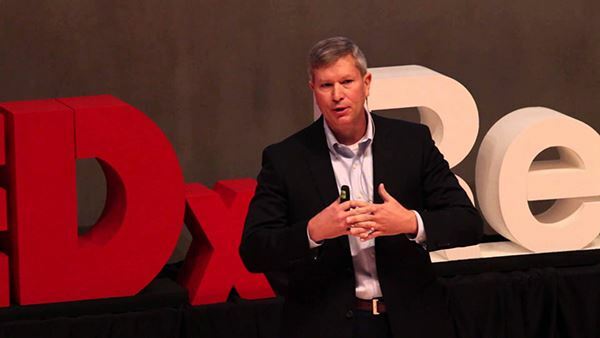 Check them out below: Rex Briggs, CEO of Marketing Evolution AMA Talk – January 2016 TEDx Talk – “From Knowledge Worker to Insight Worker” Michelle Killebrew, GVP US Marketing, Fisher Investments (formerly IBM) AMA Talk – January 2015: “Operating in a Platform World” TEDx Talk – “How Social Technology Can Make Us More Human” Chris Guillebeau, Author of The $100 Startup, Founder of WDS, & World Traveler AMA Talk – November 2014: “Give Your Customers What You Want” TEDx Talk – “The Business of Inspiration” Paul Klein, Creative Director at White Rabbit AMA Talk – May 2014: “Meet the White Rabbits: A Group of Creatives Managing Some the World’s Brands” TEDx Talk – “How to Inspire Grassroots Change in Your City” Mignon Fogarty, Grammar Girl and Chair in Media Entrepreneurship at University of Nevada, Reno AMA Talk – April 2014: “New York Times Best-Selling Author: Grammar Girl” TEDx Talk – “Who Votes for New Words? You Do!” Kristin Stith, VP of Marketing at Bristlecone Holdings AMA Talk – April 2014 Marketing Workshop: “Biggest Little City Movement Overview” TEDx Talk – “How to Inspire Grassroots Change in Your City” Bret Simmons, ‎Management Professor; Leadership & Social Business Speaker, Trainer, Consultant; TEDxUniversityofNevada Producer AMA Talk – April 2014: “Personal Branding” TEDx Talk – “Citizenship at Work” Mark Estee, Owner, Campo Reno, Mammoth, Burger ME! AMA Talk – March 2014: “Reno Food Movement” TEDx Talk – “Things I Love That Make My Business Successful” Brian Williams, Founder, Think Kindness AMA Talk – April 2013: “Marketing on a Shoestring Budget” TEDx Talk – “Think Kindness” Laura Zander, Co-Owner and Founder of Jimmy Beans Wool AMA Talk – March 2013: “Knitting Your Way to a Multimillion Dollar Business Through Creativity, Partnerships and Social Media” TEDx Talk – “Can You Imagine?” About TEDxUniversityofNevada Now in its fourth year, the next TEDxUniversityofNevada event will take place Saturday, Jan. 23 at the Pioneer Center for Performing Arts Theater. For those who aren’t familiar with TEDx, the TEDx program is designed to help communities, organizations and individuals to spark conversation. 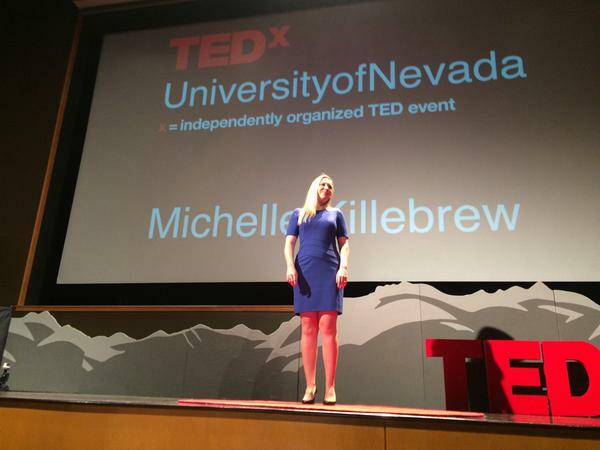 As an event, TEDxUniversityofNevada, has collectively generated almost 9 million online views of its talks even though each year’s in-person audience was limited to just 250. Through a change of venue this year, event organizers in the University’s College of Business decided to move the event to bring the University out into the community with the goal of idea inspiring a broader local audience. This premier event is sponsored by the University’s Executive MBA Program; The Associated Students of the University of Nevada; Microsoft Licensing; AT&T; The University of Nevada, Reno and Peppermill Reno. The 2016 program will feature an impressive lineup of individuals including speakers who will appeal to marketers like UNLV marketing professor Anjala Krishen, best-selling author David Burkus who wrote “The Myth of Creativity,” and local startup founder Dusty Wanderlich. More info on all of the 2016 speakers, including a link to purchase tickets, is available at the TEDxUniversityofNevada website.